I offer a variety of workshops. Coiling, where you can learn how to coil a pot and decorate with handles, texture or burnishing. Slab building, where you can learn how to roll and cut slabs of clay, how to make a template and how to assemble your chosen design. 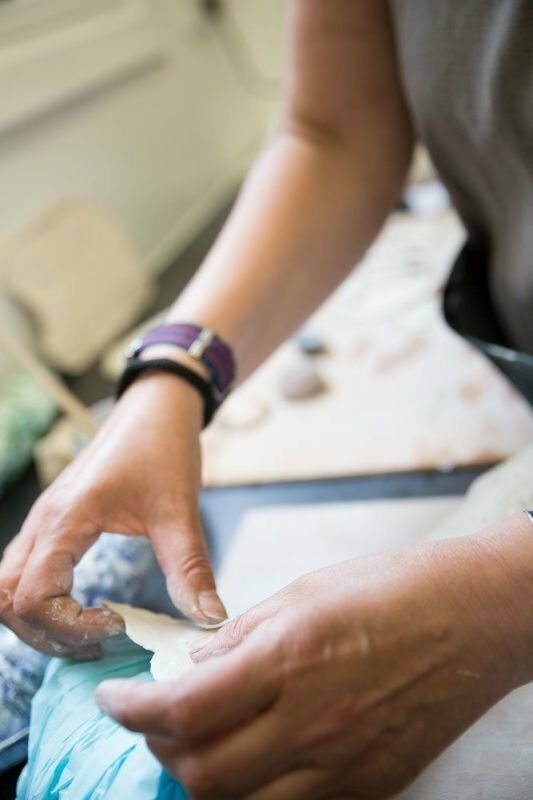 Porcelain jewellery, where you can learn how to create beautiful bespoke jewellery items using white and coloured porcelain. 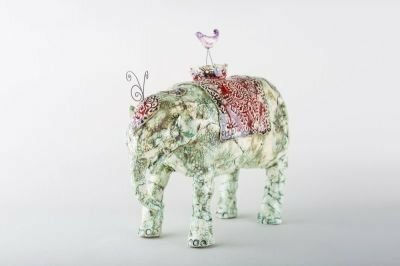 Sculpted paperclay animals or figures, where you can learn how to create a paper armature to build round using layers of thinly rolled out clay. I also run courses in enamelling where you will be shown how to cut your own shape from copper sheet and enamel in a small enamelling kiln using beautiful glass enamel powders and millifori pieces to create your own unique piece of jewellery. All courses can be customised so if you have a specific idea in mind, please feel free to contact me to discuss this. Prices start at £50 for a two hour session for one person. £70 for two people and £90 for three. An additional £25 will be charged for every subsequent hour you or your group would like to book.